SharePoint PDF generator utility from xrmforyou.com. A utility to create a single merged pdf out of uploaded documents in Sharepoint and email it to your customer. Check it out! So what does this Utility address? Well if this has bothered you and you are thinking on how to do this, you no longer need to worry. The Utility just does this and it has some other features as well which I am going to explain below. And all these with few configuration steps. The tool comes in the form of managed solution. Once you get hold of the solution, you need to install the managed solution. Once the solution is installed, open up the solution and navigate to its configuration page. The first section is to enter the license key which would be provided to you by XrmForYou. As you can see from the screenshot above you need to enter some details for the tool to work. The tool does not use a username and password. Instead it leverage OAuth2.0 to authenticate with SharePoint. All you need to do is register this tool as an APP in your Azure Active directory as Web App/ Web Api. Azure Application Url is the URL of the Sharepoint. MergedFileName is the name of the Output file. Once you save your merge configuration settings, that’s all you need to do. Now let’s see it in action. I have an account below where I have uploaded 4 files. 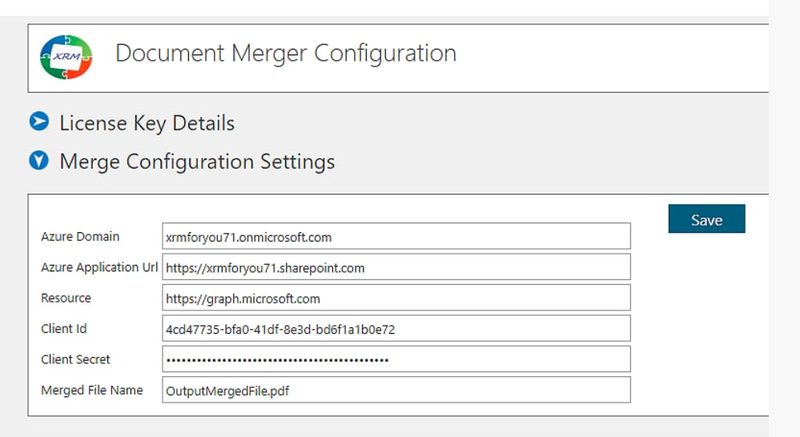 Since Merge Configuration has been enabled, a new ribbon item would start appearing in all the entities which has been enabled for Document Management. So in Account entity form I could see the Merge Button. This would be show automatically and no configuration is required from the customer side. Within a moment you should see the the merged document containing all the contents of the merged file. Wonderful isn’t it? The PPT, excel, word and the PDF file have merged into a single file. The file will bear the same name as you provided in the configuration. And yes before you ask, it works on the Unified interface as well. Wait the show is not over. We are releasing the utility with two versions. One with the option to generate just the merged file and the other with the option to send the merged file as an attachment over email. So once the merge completes, you can hook in and put in your code to send an email automatically or do anything you like with the generated document. The content of the document, the record context everything would be available and you can play with it! What’s not there in this release? We don’t want our customers to have sudden surprises once they are into using it and duly I present some of the stuffs which we are already working on for the next release but is not there in the current version! Documents are merged in descending order of modified on date. Currently only the specified formats are supported – csv, doc, docx, odp, ods, odt, pot, potm, potx, pps, ppsx, ppsxm, ppt, pptm, pptx, rtf, xls, xlsx.. Going to change very soon with the next release. Stayed tuned for the next update in couple of months time. Support for OOB sharepoint document location only. Next release in the coming 2-3 months support multiple document location merge for each record. Available only for online customers. Output file is only pdf format. So what’s keeping you waiting. Just drop us a note at info@xrmforyou.com to grab your free trial. Documentation and video to appear in our website www.xrmforyou.com by next week. Stay tuned! Previous Post Xrm.Page is deprecated. 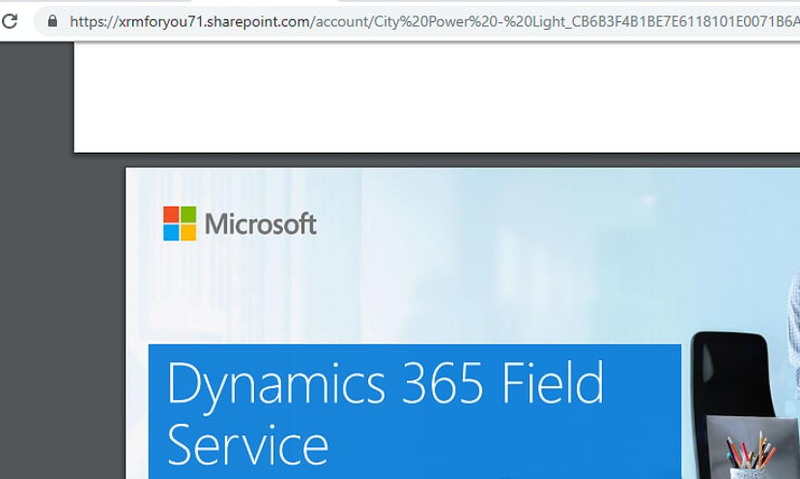 How do I use formContext in inline HTML WebResources in Dynamics V9.0 to access form data?